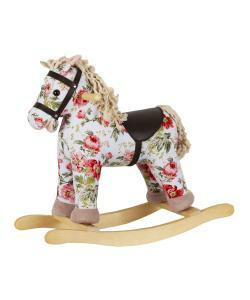 This beautifully crafted 54cm Rocking Horse comes in soft cotton material with a vintage flower print and a soft rope tail and mane. Includes exclusive Heritage embroidered rosette. 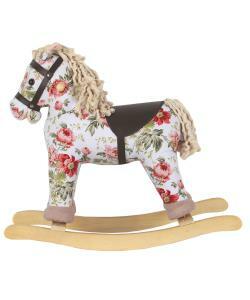 Includes a comfortable soft padded faux leather saddle and reins.